14K Solid Gold Ladie's Onyx Bracelet. This is one of the most beautiful and unique bracelet designs. Genuine black onyx and 14K Gold. 7 inches in length (custom sizes available by request). 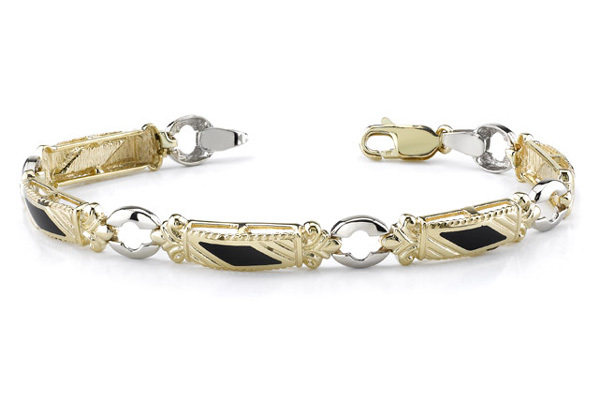 We guarantee our 14K Gold Ladie's Onyx Bracelet to be high quality, authentic jewelry, as described above.